Geologicalterm. Joint, as a common fracturing phenomena in rocks, refers to the fractureplane, generally level and smooth, both sides of which have no marked relativedisplacement. 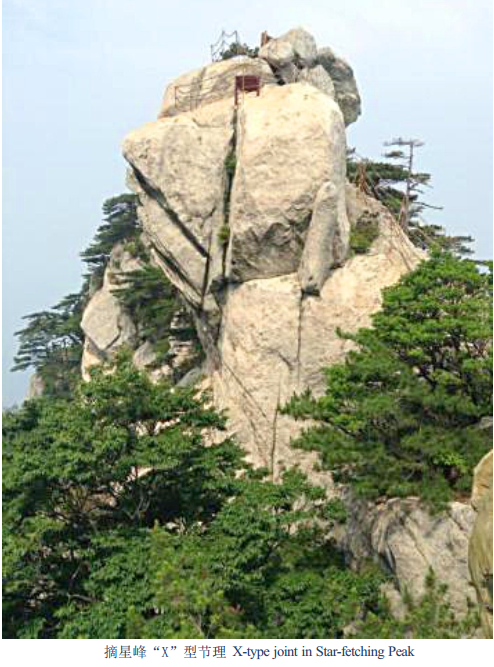 Joints are widely distributed in granite rocks due to tectonismcooling and contraction of magmatic rocks. The joints, which lead to thefragility of magmatic rocks, are eroded by weathering, and the magmatic rocksrise above other weak rocks, thus forming the landscape of lofty mountains andsteep hills.